Luke 1:15-17 is the angelic proclamation to Zechariah regarding the soon birth of his son, John the Baptist. While these words were prophetic about the life and ministry of John the Baptist, they also bring relevance to us as ‘end time believers’. 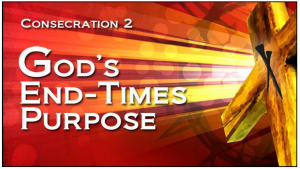 Based on this, SP Daniel exhorts on its 4 Directives and the 3 qualities of end-time believers to fulfil them.